With our with our SEO Web Audit report, freelancers and businesses can analyse their websites to get them “ready” for Google, Bing etc. 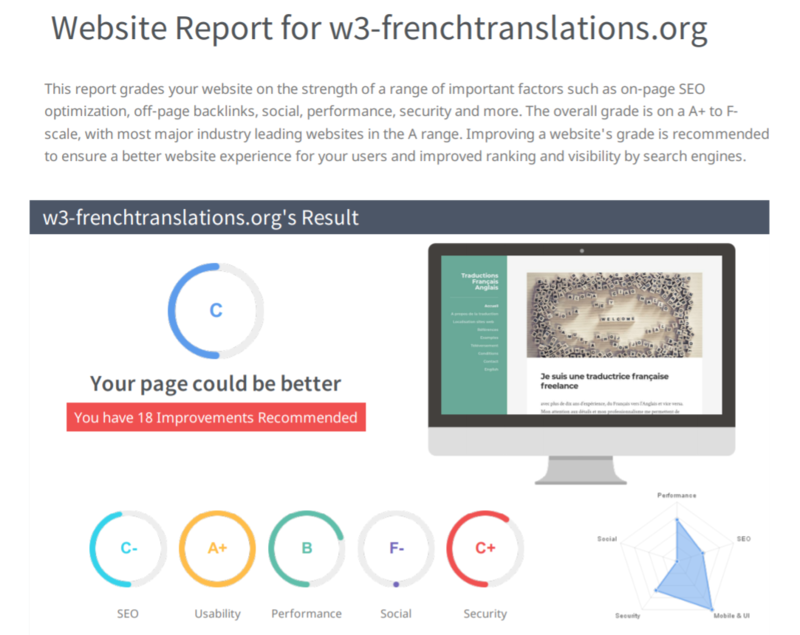 Our unique technology and SEO understanding set us apart from other website audit reports, and that’s because we deliver easily-understood results and graphics suitable for “SEO-Newbies”. 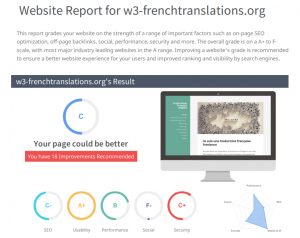 There are six categories in the website analysis report. In each section, we review up to fifty individual metrics through the homepage checks. The analysis takes into account than one hundred inspection points. Additionally, we display the SEO status of your website with a single key figure: this way, you know exactly where you are during the website audit without getting lost in specific results.